Certificates « Jorge's Quest For Knowledge! You are using Azure AD for federate with other SaaS solutions (e.g. 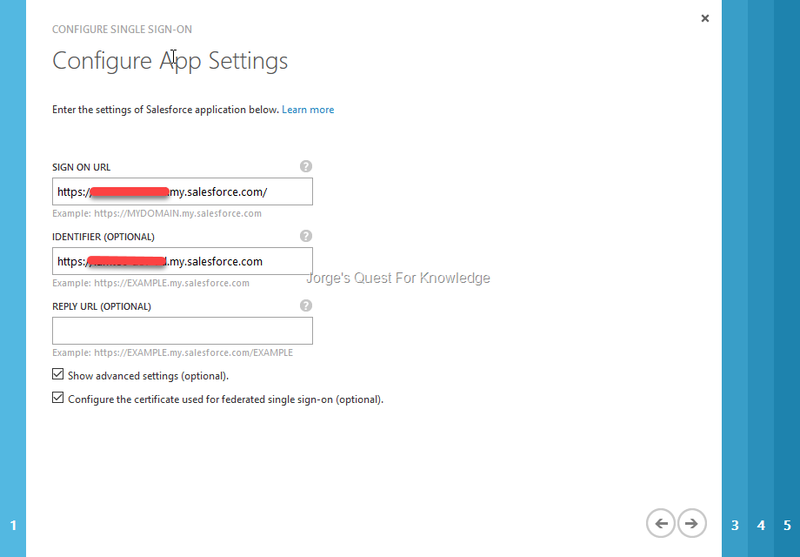 SalesForce) so that you can achieve SSO when either logging on with your Azure AD credentials or if you are using an on-premises federation solution like ADFS your on-premises AD credentials (assuming you are using AD). As you may know every federation trust is based upon certificates and certificates do expire. As the Identity Provider (IdP) you will always have a Token Signing certificate to sign security tokens/SAML responses issued by the IdP for the Service Provider (SP). As the Service Provider (SP) you may have Token Signing certificate to sign SAML request issued for the SP for the Identity Provider (IdP) and/or a Token Encryption certificate to decrypt the assertions in the security tokens/SAML responses that were issued and encrypted by the Identity Provider (IdP). With that in mind you will have replace those certificates before they expire. And in this case we focus on . Azure AD to the rescue! And that’s where Azure AD comes in to warn about a certificate it knows about that will expire within some number of days. When that happens, and this case it is about federating between Azure AD and SalesForce, you will receive an e-mail similar to the one below. Action required: Your usage of Salesforce using Azure Active Directory may incur downtime if action is not taken to update the certificate used for single sign-on. Sign into the Azure classic portal using an global administrator account that also has service administrator or co-administrator permissions. Select the Applications tab, then select <Application name>. On the Quick Start tab (represented by the blue cloud icon), select the Configure single sign-on button. 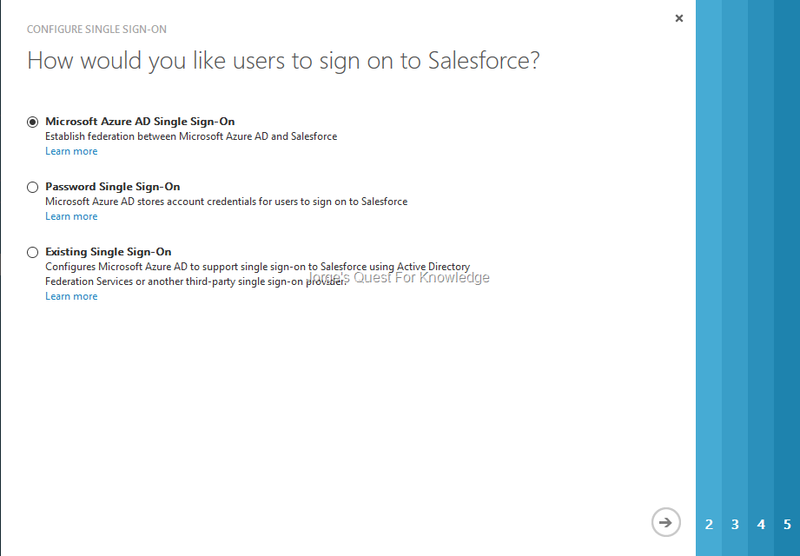 Select Microsoft Azure AD Single Sign-On and select Next. 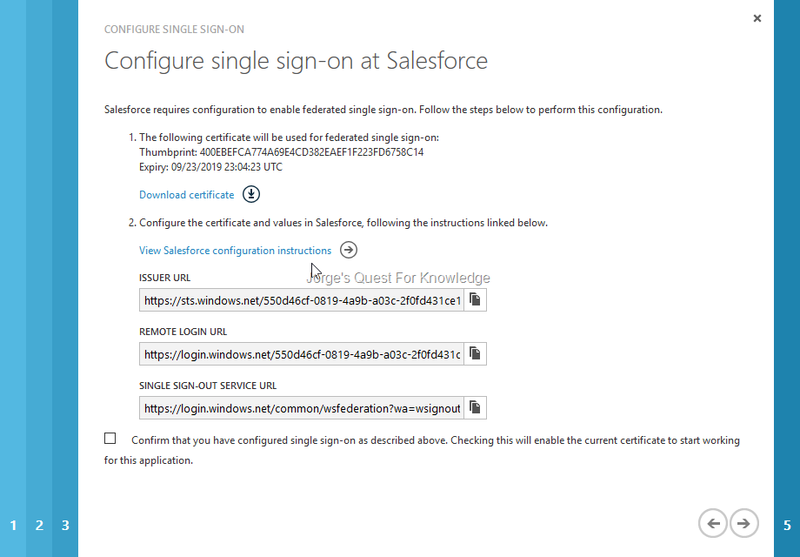 In the Configure App Settings screen, select Configure the certificate used for federated single sign-on and select Next. In this case for SalesForce, go to SalesForce and on the screen on the left where it says “Administer” click on “Domain Management” and then click on “Domains”. On that page you will find the “Sign On URL” that needs to be specified in Azure AD (Figure 3). In this case for SalesForce, go to SalesForce and on the screen on the left where it says “Administer” click on “Security Controls” and then click on “Single Sign-On Settings”. On that page you will find the “Identifier” that is configured in SalesForce for the IdP representing Azure AD and that needs to be specified in Azure AD (Figure 3). In the Configure Federated SSO Certificate screen, select Generate a new certificate, choose an appropriate validity duration for the certificate and select Next. On the screen on the left where it says “Administer” click on Security Controls and then click on Single Sign-On Settings. On that page click on the IdP representing Azure AD. 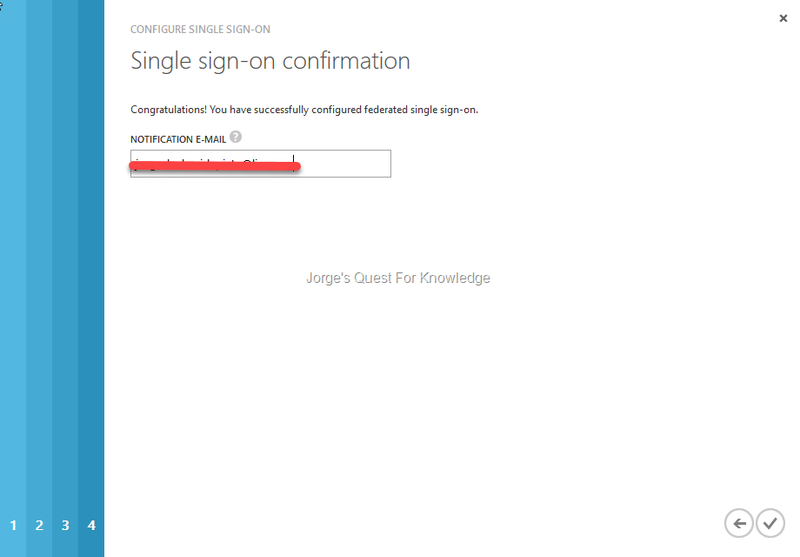 Check Confirm that you have configured single sign-on as described…. Your access to the application through SSO should still work and you should be good to go for the amount of time the new certificate is valid.